The "new" stories about Princess Diana started pouring in months ago, all leading up to today, the 20th anniversary of her death. From the unauthorized, tabloid-friendly narratives to various documentaries made with the help of her sons or others who were close to her in life, each bit has at least intended to put in place another piece of the puzzle that was the tragic royal's glaringly public and yet ultimately enigmatic life. Diana only granted so many interviews during her 36 years, and you can count the memorably candid ones on one hand, so the entirety of her story will never be known. But what we do know, and what perhaps couldn't have been anticipated immediately, is that the frenzied aftermath in the days following the violent car crash that killed her, boyfriend Dodi Fayed and their driver, Henri Paul, would set the tone for years. By myriad accounts, the public outpouring of grief that occurred, in the United Kingdom and beyond, cannot be overstated. And when the tears had dried, tears for Diana's sons and tears for their own dashed romantic hopes, a sort of malaise set in with regard to the royal family. The people—Diana's people—stricken by horrifying images of the demolished Mercedes Diana was riding in, and later the somber images of 15-year-old Prince William and 12-year-old Prince Harry walking behind their mother's casket at her funeral, would have a hard time forgiving the queen for what they took to be her too-composed reaction to the tragedy. And ever since, there has been no end to the fascination with the life and death of the Princess of Wales. Paparazzi swarmed Diana and Dodi, who had just arrived in Paris the previous afternoon, as they left the Ritz Hotel at 12:20 a.m. on Aug. 31, 1997. They jumped into the back of a black Mercedes S280 with bodyguard Trevor Rees-Jones. Henri Paul, deputy director of security for the Ritz, was behind the wheel. None of the passengers wore a seatbelt. When Paul peeled away, photographers gave chase in their own cars and on motorbikes, and the chauffeur—later determined to be under the influence of alcohol—lost control of the car, hitting a Fiat and then slamming into the 13th pillar of the Ponte de l'Alma tunnel, which was instantaneously frozen in time as the spot where Diana was killed. A top cardiovascular surgeon operated on the princess, but her internal injuries were too severe. The doctor later said he couldn't believe she had survived even that long. And so at around 4 a.m., Paris time, Princess Diana died. 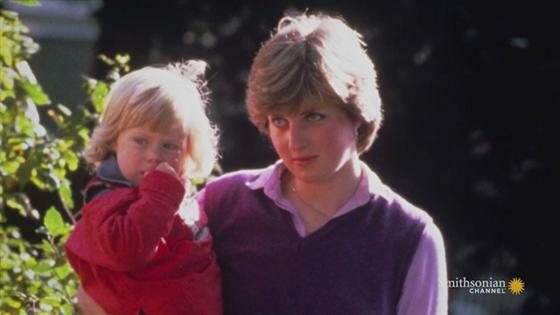 "I think one of the hardest things to come to terms with is the fact that the people that chased her, through, into the tunnel, were the same people that were taking photographs of her while she was still dying in the backseat of the car," Harry, now 32, reminisces in Diana, 7 Days, a new documentary about the immediate aftermath of his mother's death. "And William and I know that, we've been told that numerous times, by people that know that was the case. She'd had quite a severe head injury, and she was very much still alive in the back seat, and those people that caused the accident, instead of helping, were taking photographs of her dying in the backseat. And then those photographs made their way back to news desks in this country." Dodi's father, billionaire businessman and owner of Harrods Mohamed El-Fayed, would be the most reluctant to accept that the crash was just a terrible accident, aided and abetted by speed, paparazzi and a drunk driver. Instead, he insisted there had to be a nefarious plot underfoot and he pushed for what turned into a years-long investigation—dubbed Operation Paget—that cost approximately 3.7 million pounds and produced an 832-page report, separated into 16 chapters. A six-month-long inquest, during which 250 witnesses gave evidence and which cost more than 7 million pounds, arrived at the same conclusion in 2008. It was an accident. Officially, Dodi and Diana had been "unlawfully killed" by Paul's "gross negligence," but there was no murder plot—as El-Fayed was initially convinced there was. While the terrible news unfolding from Paris was being watched on TV by people in the United States on Saturday evening, where it was still Aug. 30, many in the United Kingdom woke up to the news on Sunday morning. After the accident, news outlets had been left in the dark as to Diana's condition, so there were no updates for almost four hours. Nowadays, news of the death of a major celebrity pings around the world within seconds thanks to the Internet and social media, and good luck with a media blackout, but it was broadcast and cable news doing most of the work 20 years ago. In the meantime, Diana's next of kin and various world leaders were getting calls in the middle of the night. Diana's ex-husband, Prince Charles, was at Balmoral Castle with William, Harry and Queen Elizabeth II when he got the news. British Prime Minister Tony Blair was roused from slumber by a policeman standing at the foot of his bed; a spokesperson said the PM was "shocked and saddened by what he sees as a devastating appalling tragedy." President Bill Clintonand first lady Hillary Clintonwere at a party on Martha's Vineyard when they were informed and asked to be kept posted on any new information. At 5:09 a.m., the Palace stated: "The Queen and the Prince of Wales are deeply shocked and distressed by the terrible news." "I killed her. I hounded her to the death. I followed her every movement. / I gave her no peace, for I bought the papers. I read the stories and I looked at the photographs. / They did this for me. / How can I live with that?" On Monday afternoon, Sept. 1, 1997, millions of people watched the televised arrival of Diana's body at the Royal Air Force Station at Northolt. Five days later, and just over 16 years after 750 million viewers around the globe watched her get married, approximately 2.5 billion people tuned in for coverage of Princess Diana's funeral. More than 2,000 people attended the service at Westminster Abbey and hundreds of thousands more lined the street to get a glimpse of her coffin. Elton John reworked the lyrics to "Candle in the Wind," which was about Marilyn Monroe(also 36 when she died), to bid farewell to their beloved "English rose"; he later released the song, which he performed at the funeral, as a single with all proceeds going to charities Diana supported. In his much-dissected eulogy, Diana's brother, Charles Spencer, called his sister "the most hunted person of the modern age"—a characterization that no public figure has yet to dispel. (Twelve years later, Michael Jackson's funeral would become the second most-watched in history.) Spencer also, even more memorably, drew first blood against the royal family, Diana's younger brother of the opinion that they had hung the princess out to dry when Di and Charles' marriage failed. "On behalf of your mother and sisters, I pledge that we, your blood family, will do all we can to continue the imaginative and loving way in which you were steering these two exceptional young men, so that their souls are not simply immersed by duty and tradition, but can sing openly as you planned," he said. A Sept. 8 analysis of Spencer's speech in The Guardian stated: "When the talk is of monarchy, as it inevitably will be over the next weeks, those 1,200 words will be the mark of whether the Royal Family has progressed towards an open, more popular future or fallen back on the stiffness of tradition and silence." As Peter Morgan would illustrate in his 2008 drama The Queen, for which Helen Mirren won an Oscar for her role as Elizabeth II, the royals traveled what they saw as the tactful route—let the nation mourn publicly and demonstratively, but do not join them on that emotional ledge. She hadn't wanted to return to Buckingham Palace from Balmoral, in Scotland, right away, but it was one of the few occasions when the queen buckled to outside influences—though even then, she was criticized for staying too long and taking William and Harry to church on the day Diana died. The Union Jack was adjusted to half-mast outside the Palace, and the queen and husband Prince Philipappeared outside to greet the crowd, hundreds craning their necks to get a better glimpse at the monarch's every expression and gesture. But as she suspected, the outpouring of public grief that was literally right in their faces was really too much for Diana's children, particularly 12-year-old Harry, to have to face—though they did, stoically. "Today, we see Prince William and Prince Harry as people that people feel a close connection with—they speak like normal people, they act like normal people—people don't find them hard to relate to," Tony Blair reminisced in Diana, 7 Days. "It's important to wind back 20 years and realize she was the first member of the royal family who people really felt behaved and acted like a normal human being." Regardless of how it might have looked to some, the queen was "obviously very sad," Blair recalled. "I mean she was obviously most worried, I think, about the impact on the boys." Yet Elizabeth "was concerned about the monarchy herself because the queen has a very strong instinct about public opinion and how it plays." Prince William, 35, concurred, saying in the documentary, "At the time, you know, my grandmother wanted to protect her two grandsons, and my father as well. Our grandmother deliberately removed the newspapers, and things like that, so there was nothing in the house at all. So we didn't know what was going on." The queen gave Will and Harry "the privacy to mourn, to collect our thoughts, and to just have that space away from everybody." "She felt very torn between being the grandmother to William and Harry, and her Queen role," William continued. "And I think she—everyone—was surprised and taken aback by the scale of what happened and the nature of how quickly it all happened." "She did absolutely the right thing. If I was her I would have done that," Diana's sister, Lady Sarah McCorquodale, added in hindsight as well. Blair acknowledged, however, that the British people "needed to see [the queen] vulnerable as a person, and not simply vulnerable as a monarch." In that respect, their queen left some people wanting, a perceived slight to Diana that still bears analysis to this day. William was aware of the issues that led to his parents' divorce to an extent, but while Charles was immediately cast as a villainous figure by his many critics, the man who selfishly married a naive girl whom he wasn't even in love with and then cast her aside, the Prince of Wales' eldest son remembers him coming through. "One of the hardest things for a parent to have to do is tell your children that your other parent has died. How you deal with that, I don't know," says Harry. "But he was there for us. He was the one out of two left. And he tried to do his best and to make sure that we were protected and looked after. But he was going through the same grieving process as well." Pictures of Harry and William somberly walking behind their mother's casket in the funeral procession are the most memorable images to remain from Sept. 6, 1997. Though Harry told Newsweek in June that "no child should have to do that under any circumstance," he was a bit more forgiving of those circumstances in his interview for Diana, 7 Days. "I think it was a group decision," he recalled. "But before I knew it I found myself with a suit on, with a black tie and white shirt, and I was part of it. Generally, I don't have an opinion on whether that was right or wrong. I'm glad I was part of it. Looking back on it now, I'm very glad I was part of it." Added William, "But I have to say, when it becomes that personal as walking behind your mother's funeral cortege, it goes to another level of duty." A study released in 2000 reported an uptick in suicides in the week following Diana's death—a 33.7 percent rise among women and a 17.4 percent rise overall. Those involved with the study were quick to point out that people were not reacting solely to the princess' death, but rather the tragedy may have compounded preexisting feelings of depression and despair. While being grief-stricken himself, William didn't quite understand the mass hysteria. "You didn't even know her, why and how are you so upset?" he remembered 20 years later. "What was very peculiar but obviously incredibly touching was everybody crying. The wailing and the crying and people wanting to touch us...It was like nothing you can really describe, it was very unusual. "They were shouting and literally wailing at us. Throwing flowers, yelling, sobbing, breaking down, people fainted, collapsed." Added Prince Harry, "The way that people were grabbing us and pulling us into their arms… I don't blame anybody for that, of course I don't, but it was those moments that were quite shocking." Now, of course, the princes better understand what Diana meant to people, especially in Britain, and they have taken it upon themselves to honor her legacy to the best of their ability. After the funeral, Princess Diana was laid to rest at the Spencer family's Althorp estate, interred on a little island in the middle of the man-made Round Oval lake. The spot is marked by a white memorial plinth and urn. "I wanted to keep her safe," Charles Spencer told BBC Radio 4's Today last month as the anniversary of his sister's death drew nearer. "If you remember that time around her funeral, there was such a whipped up feeling of emotion everywhere that I was very worried about where we could safely bury her. "We've had four attempted break-ins towards her body in the last 20 years, and I'm very glad that we've seen all of them off. There are some odd people out there and keeping her right here is the safest place." Asked about his memorable eulogy in 1997, Spencer said, "I wasn't looking to make any jabs at anyone, actually. I was trying to celebrate Diana—and if by doing that it showed up particularly the press, I think, in a bad way, well...they had that coming." Complete with walkie-talkies, the two princes dress up as "Bobbies," the British slang term for police officers, coined after Sir Robert Peel, who founded the London police in 1829. The two princes have been inseparable from the start. The boys are photographed sitting on a picnic table. Princess Diana holds on to baby Harry while aboard the royal yacht, Britannia. Princess Diana snuggles up to her fair-haired Harry. Looking just like his son George, a then-toddler Prince William cuddles up to his famous mom, who was pregnant with his younger brother Harry at the time the photo was taken. Princess Diana poses for a photo with her two matching sons.